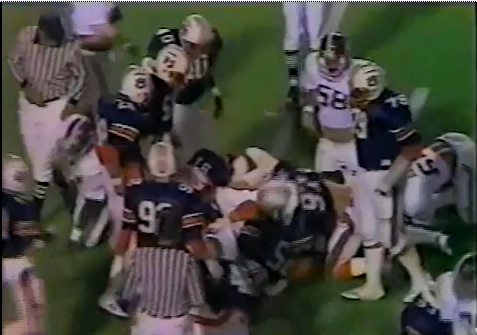 In Pat Dye’s first Iron Bowl as head coach, Auburn players wore two strips of black tape on their helmets in tribute to Alan Manley and Cary Condray. There have been orange jerseys and even green jerseys and drop shadows (scroll down). But one of the most little-known and obscure Auburn uniform tweaks ever is sadly tied to one of the most tragic incidents in Auburn football history. On Nov. 17, 1981, the Tuesday morning following Auburn’s loss to Georgia, freshman football players Alan Manley and Cary Condray were killed instantly in a head-on collision with a diesel tanker truck between Marianna, Fla. and Panama City. The driver of the tanker suffered minor injuries. Manley, a 6’4, 255-pound offensive lineman from Albany, Ga., was Pat Dye’s first signee as Auburn’s head coach. Both he and Condray, a 5″11, 175-pound running back from Erwin High School in Birmingham, were on Auburn’s junior varsity squad, but Manley had seen varsity action. 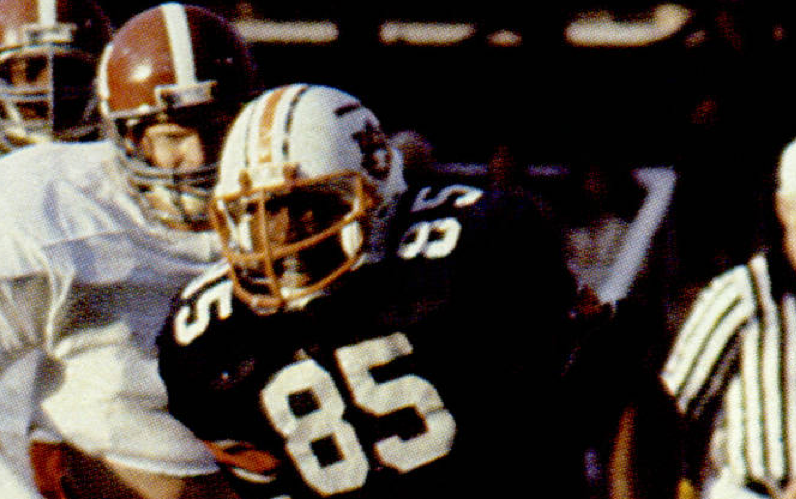 Auburn players wore a single strip of black tape on both sides of their helmets against Alabama in the Iron Bowl two weeks later in tribute to Manley and Condray. That was the first Auburn/Alabama game I ever attended. Unfortunately it had to be the Bear’s 315th win. However, I did get George Peoples’ chinstrap after the game.